Our photo shoot with Scott Turnbull of Turnbull Photography continues for its’ third and final day. He is interested in capturing as many of the different steps involved in canning as well as a few different things we jar so the readers can share in the whole experience. Turnbull has spent countless hours photographing our harvesting, foraging, preparing, cooking and jarring. I’m really excited to see how it all comes together. 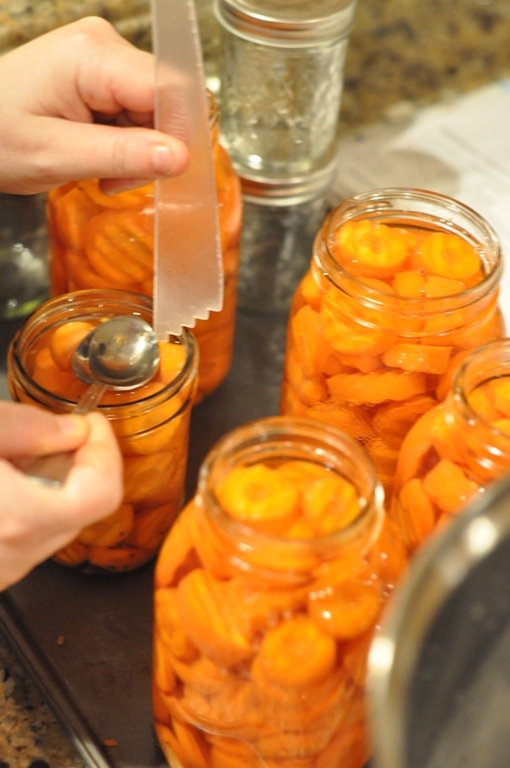 It is my hope that this article inspires more people to try their hand at canning. It’s not too hard…after all anyone who knows me will tell you “if I can CAN anyone can CAN!” I don’t know how to cook a meal from start to finish but for some reason canning is different…much easier. 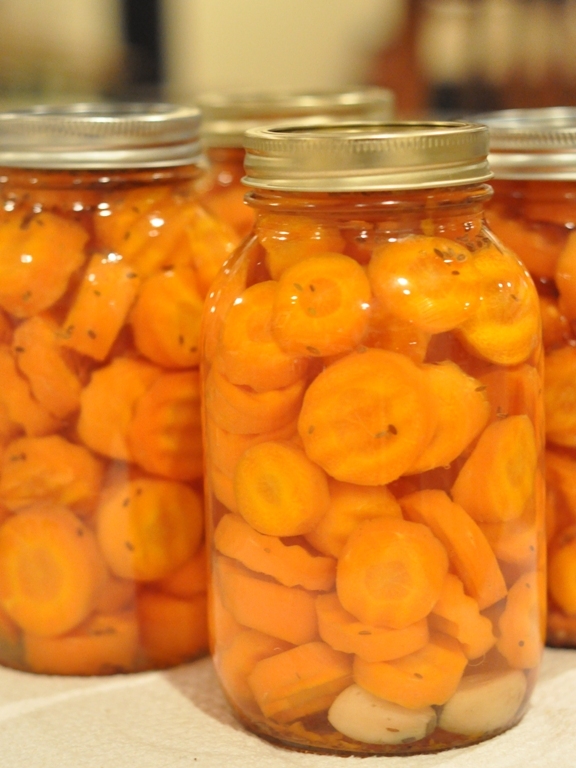 The carrots that we harvested at The Godson homestead were too big to fit into jars whole. So, I decided to make them into fancy little dilled carrot chips. Same great taste in fancy little bite size pieces. 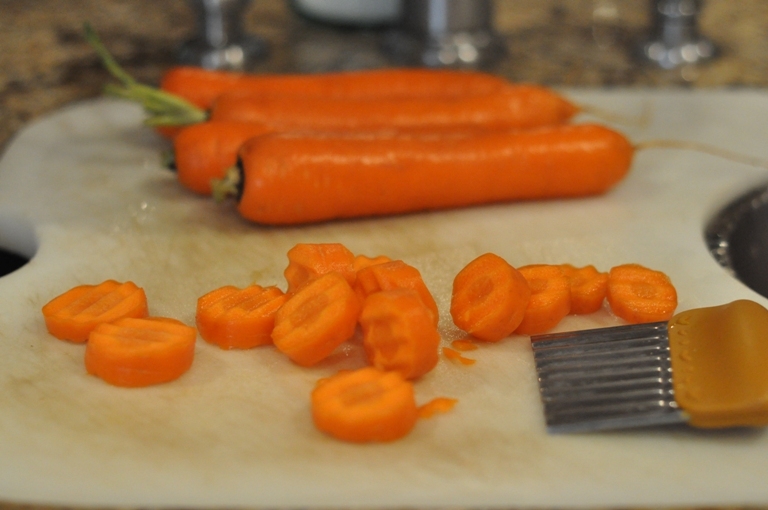 I used the same recipe mentioned in an earlier post but cut these huge carrots with a fancy little tool or you could just cut them with a knife. One of the important steps in home preserving is measuring the headspace. For this recipe the required headspace is 1/2″. Using this handy little tool that you can purchase from Bernardin takes all of the guess work out of this part of the recipe. I recommend purchasing the Bernardin Home Canning Kit that comes with jarring tongs for easily lifting boiling jars in and out of the waterbath, a magnet wand for putting on the sterilized lids, and a headspace measurer. You can order these kits on line from Bernardin or pick them up at your local Canadian Tire, Home Hardware or any store that sells the canning jars. It’s a must have! When we first started canning we followed the recipes to a tee but didn’t always understand why headspace was important or removing the air bubble was necessary. But, after canning countless jars and reading more and more books and recipes I’ve come to realize the importance of correctly measuring headspace and removing bubbles. Headspace is defined as the unfilled space above the food in a jar and below its’ lid. Directions in home canning recipes often require us to leave 1/4″ (inch) headspace for jams, jellies, and marmalades and 1/2″ (inch) for fruits and tomatoes being processed in a boiling water bath. For low acid food recipes where a pressure canner is used to process the jars, the headspace required main range from 1″ (inch) to 1 1/4″ (inches). Headspace is needed for expansion of food as jars are processed in boiling water and for forming vacuum seals as the jars cool. 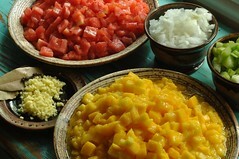 The extent of expansion is determined by the air content in the food and by the processing temperature. Air expands greatly when heated to high temperatures; the higher the temperature, the greater the expansion. Foods expand less than air when heated. This is why you must leave more headspace when using a pressure canner! It is also important to remove as many air bubbles as possible because these are simply trapped pockets of air. You will notice that as you remove the air bubbles the headspace decreases. Be sure to top up your liquid to achieve the recommended headspace and process as directed. This may seem complicated but really its’ not. There are many things that you can use to successfully remove the bubbles. Here are a few of my suggestions; the other end of the Bernardin headspace measurer (you may notice that it is slightly curved…this is to fit down the sides of your jars following the natural curve of the jar and allowing trapped bubble to rise up to the surface), a knife, chopsticks, a metal spoon. Just be sure that whatever you use is clean and sterile.